The other day I thought I was buying a great deal at Whole Foods Market. I had a coupon for $2 off of chef-prepared meatballs. I found them on sale, and I figured out that with the coupon, they would end up being about $2.66 a pound for decent quality, possibly grass-fed beef. 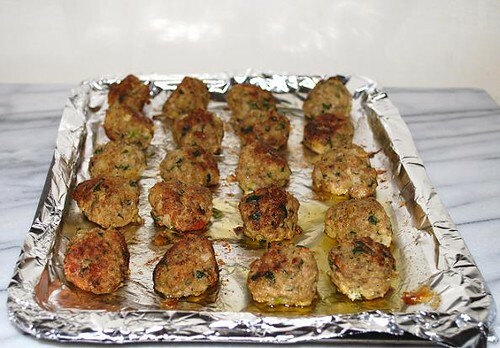 I wanted to buy a dozen packages of these meatballs and pop them in the freezer. I bought one package, thank goodness, because my family absolutely hated the taste of these meatballs! The meat itself was fine, but there was some unidentifiable spice added that made the meatballs taste…odd. It turned out to be a terrible deal after all and I’m glad I only bought one package. Another TFF reader mentioned she bought quite a few packages of frozen vegetables on sale with coupons, but she hated the taste of them. She wished she had only bought one package to try it out. The lesson here is this: if you haven’t tasted or used the product but it’s on sale for a great stock-up price, why not try one and go back for more if you like it? Next postCheap is Not Affordable: The NYC Board of Health Decision to Limit Large-Sized Sugary Drinks. An Admirable First Step to Curbing Obesity? Sounds familiar…You shouldn’t let your coupons to decide. You have to decide!